Our class teacher is Mrs Plant and our Teaching Assistant is Mrs Hoskins. We are the youngest children in school (Reception Class) and are always very very busy. Our day starts with 'name' work then lunch choices, register and phonics. Our great EY environment (both inside and out) helps us to learn new things each day. Each day our class bear 'Oscar' goes home with 'the 'Star of the Day'. Following our very exciting visit to Chester Zoo, we decidied that our favourite animal was the bear. 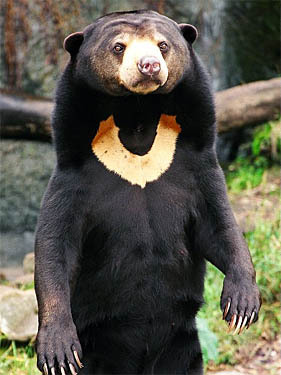 Now we are going to research and find out about all bears but in particular the Sun Bear! The children are very excited to be finding out about London through the Naughty Bus story. We are creating maps showing landmarks such as: Big Ben, Tower Bridge, Buckingham Palace, The Houses of Parliament, St Pauls Cathedral, Westminster Abbey and the River Thames. However we did not expect to have our classroon 'wreaked' by the Naughty Bus! He must have snook in whilst we were having our lunch....the mess!! The class began the year reading the story 'Have you filled a bucket today?' Everyone has their own bucket and earns wishes throughout the day for kindness, good listening, working hard and all things positive. The Children were shocked to find flour footprints in the classroom and messages of 'Hee Hee Hee....you can't catch me' hidden in our story box. We explored what it was like to 'thunder' around the farm yard as the cow as we chased the Gingerbread Man and went on a hunt for the missing jelly buttons. The children have been finding out about Anteaters.....we are experts now!